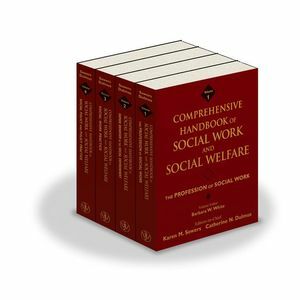 Comprehensive Handbook of Social Work and Social Welfare, Volume 3: The Profession of Social Work features contributions from leading international researchers and practitioners and presents the most comprehensive, in-depth source of information on the field of social work and social welfare. Editors-in-Chief, Karen M. Sowers, PhD, is Professor and Dean at the University of Tennessee College of Social Work in Knoxville, Tennessee. Catherine N. Dulmus, PhD, is Associate Professor of Social Work and Director of the?Buffalo Center?for Social Research at the University of Buffalo, New York. ?She is coeditor of several social work journals and has authored or coedited a number of books, including Essentials of Child Welfare, Handbook of Preventive Interventions for Children and Adolescents, Handbook of Preventive Interventions for Adults, and The Social Work and Human Services Treatment Planner. 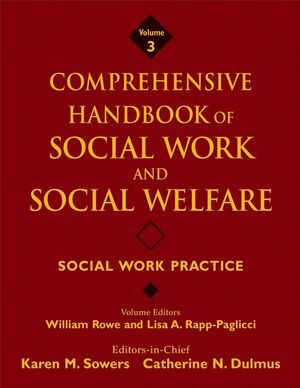 Volume Editors, William Rowe, D.S.W., is the Director of the School of Social Work at the University of South Florida. Lisa A. Rapp-Paglicci, Ph.D., is an Associate Professor at the University of South Florida and a coeditor of the Handbook of Violence and the Handbook of Prevention Interventions for Children and Adolescents. 3. Assessment and Data collection. 4. Problem Identification, Contracting and Case Planning. 10. Termination, Stabilization and Continuity of Care.